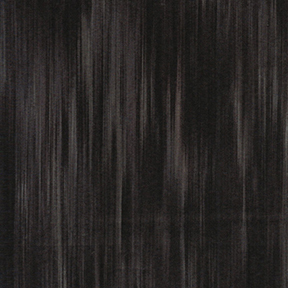 Here's another take on Halloween--Gothic Glam from Kanvas. 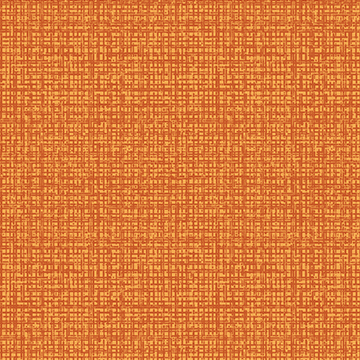 These are orange and black prints with attitude! Skeletons, owls, chains, and back-arching black cats. Even better, these prints have metallic gold and silver accents for extra sparkle! 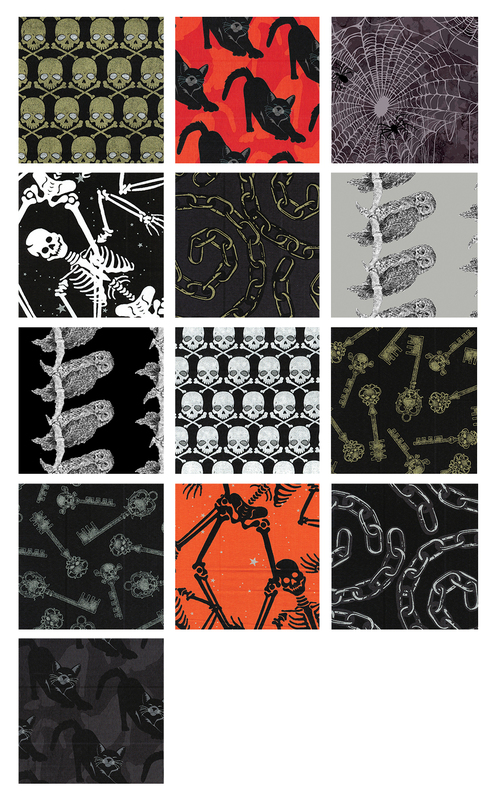 Pair them with our Boo Basics to stitch up a Halloween project this October! 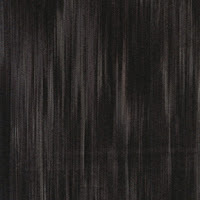 Click here to see the Gothic Glam collection. 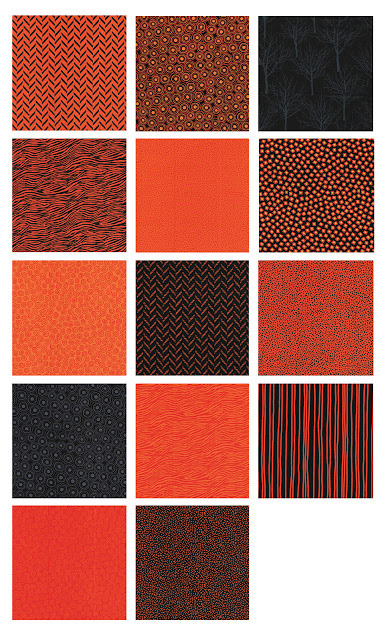 If you've had a spooky project on your to-do list but have had trouble finding great orange and black prints, Boo Basics by Greta Lynn is for you! 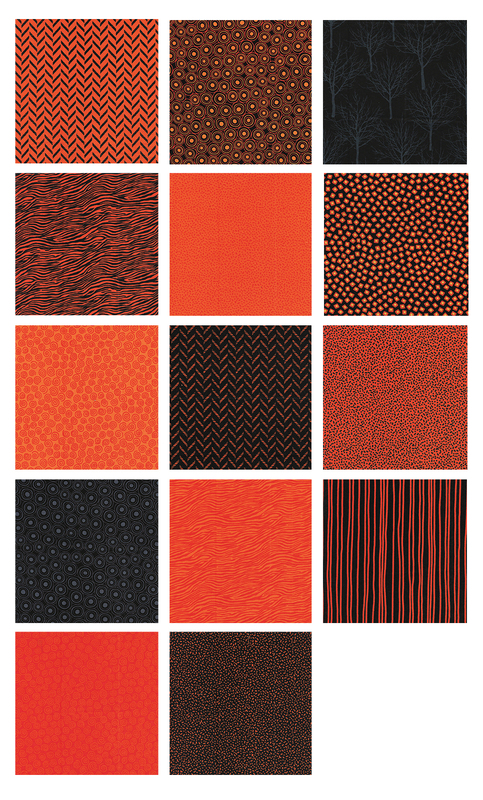 This collection features fantastic black and orange blenders (also perfect if your hometown team colors are black and orange) that can be used in any type of Halloween project. 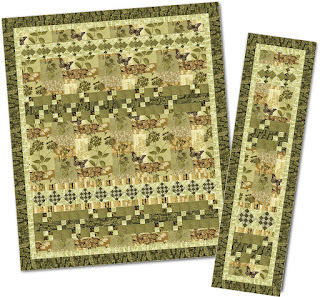 Take a look and ask for them at your local quilt shop. Click here to see the entire Boo Basics line. 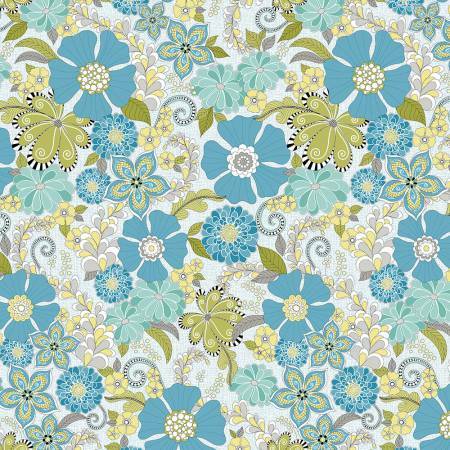 It's Bali Week here at Sew in Love with Fabric! That's right...we are sharing some of our favorite new batik lines...vibrant hues, soft pastels, graphic designs...all coming together to create gorgeous fabrics! 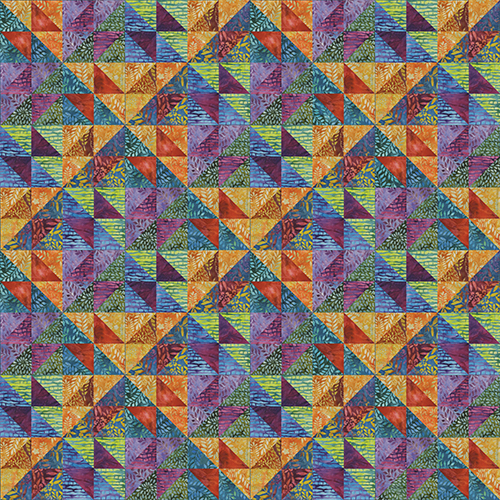 Each of the lines we're showing this week has a free pattern designed exclusively for it, so you'll have plenty of quilt patterns to add to your to-do list. Get ready to be inspired! Combine delicate, pale Bali prints with rich earth tones and what do you get? River Mist! 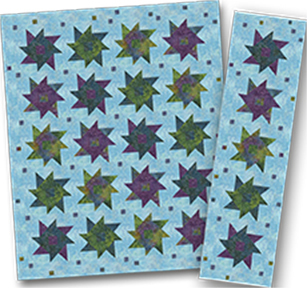 This unique color combination will make striking quilts, and the lighter prints will work beautifully as backgrounds for your quilt designs as well. 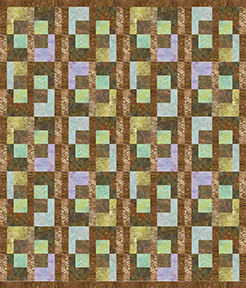 The River Mist Trellis pattern by Janet Page Kessler combines the deep earth tones with the lighter, playful pastel prints in a simple four-patch design. 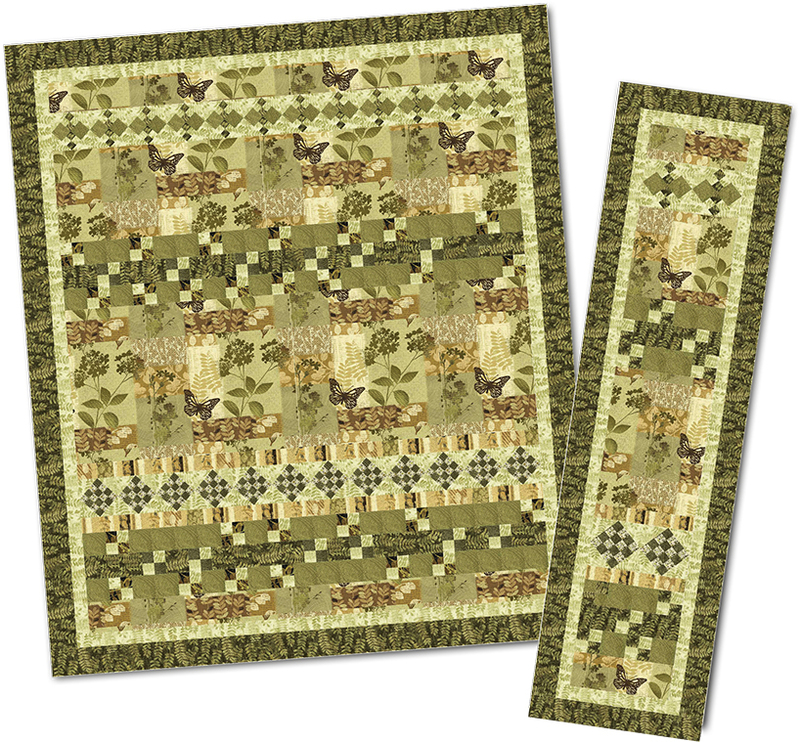 Click here to see the entire River Mist collection and find the free quilt pattern. Yesterday was Tropical Breeze, today it's Tropical Nights! 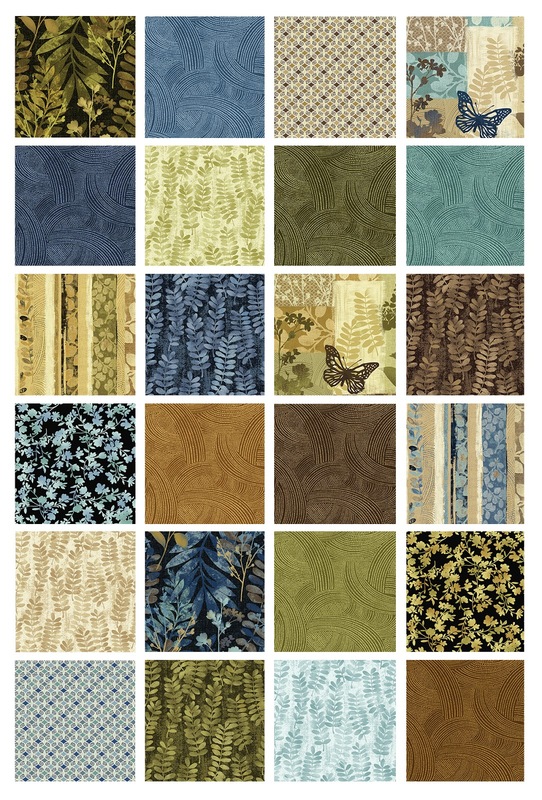 These jewel-toned fabrics have a sultry feel to them--intriguing nature-themed patterns in rich, rich hues. 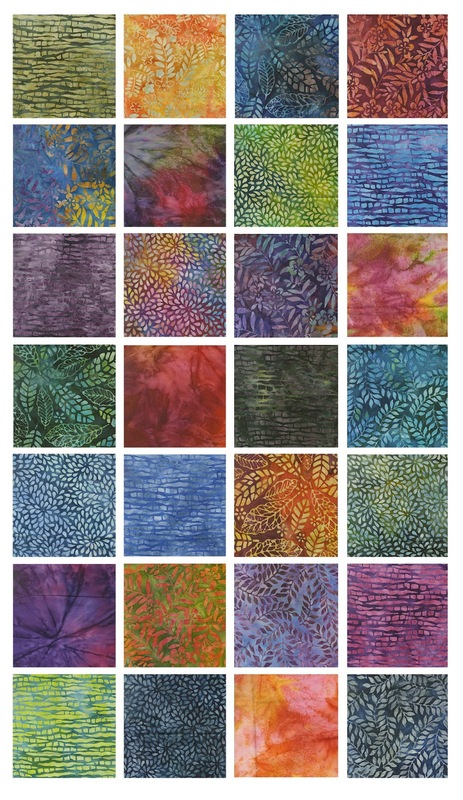 Mix them with the Tropical Breeze prints or use them by themselves! 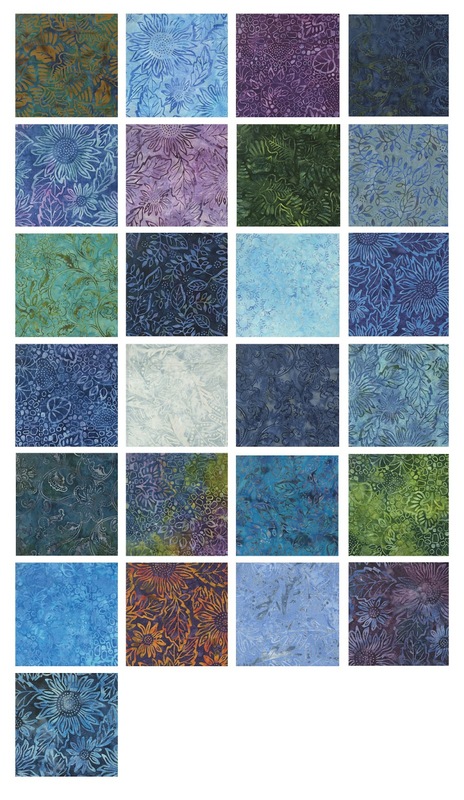 Click here to see the entire Tropical Nights collection and find the free pattern. 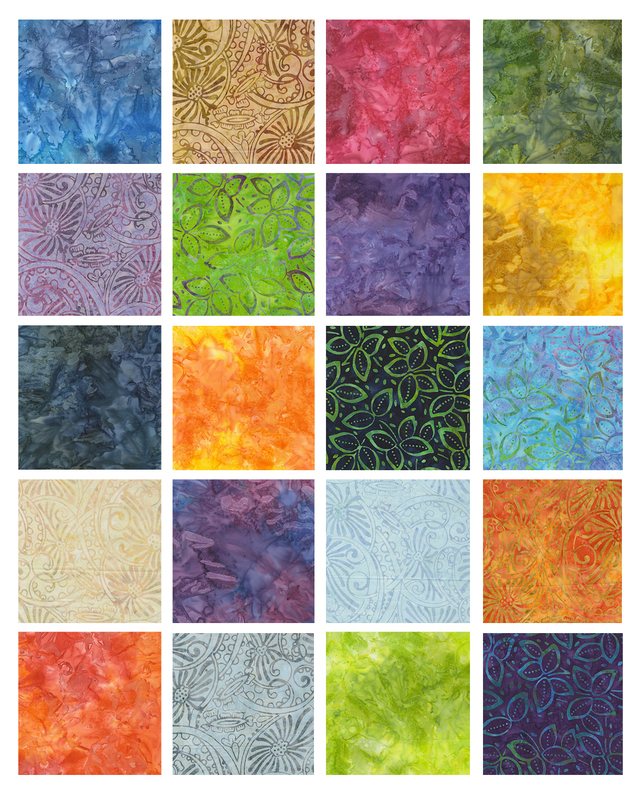 That's right...we'll be sharing some of our favorite new batik lines...vibrant hues, soft pastels, graphic designs...all coming together to create gorgeous fabrics! 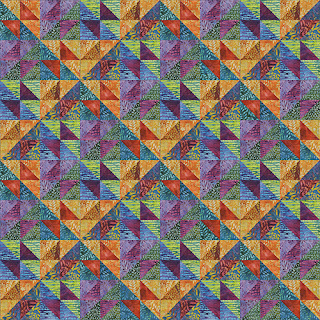 Each of the lines we're showing this week has a free pattern designed exclusively for it, so you'll have plenty of quilt patterns to add to your to-do list. Get ready to be inspired! 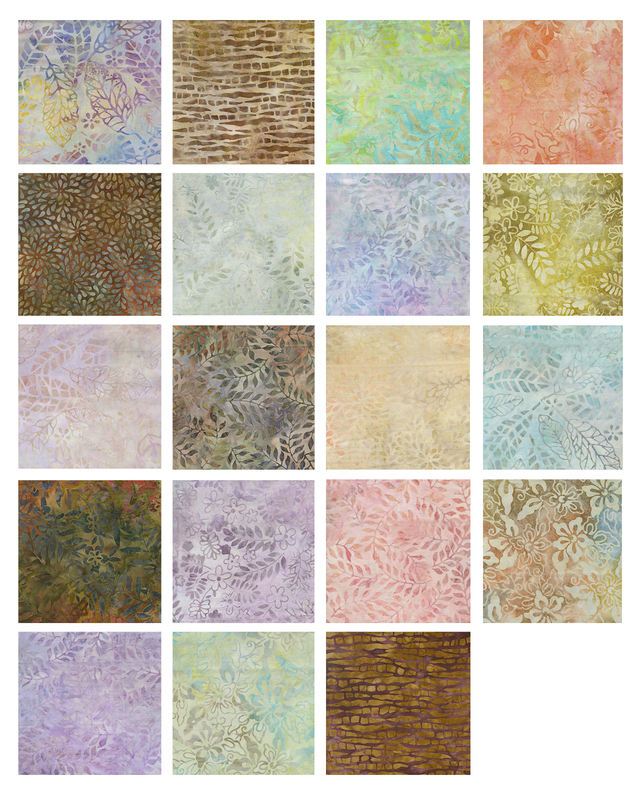 Today's featured collection, Tropical Breeze Balis, are soft pastels paired with shades of brown and beige. 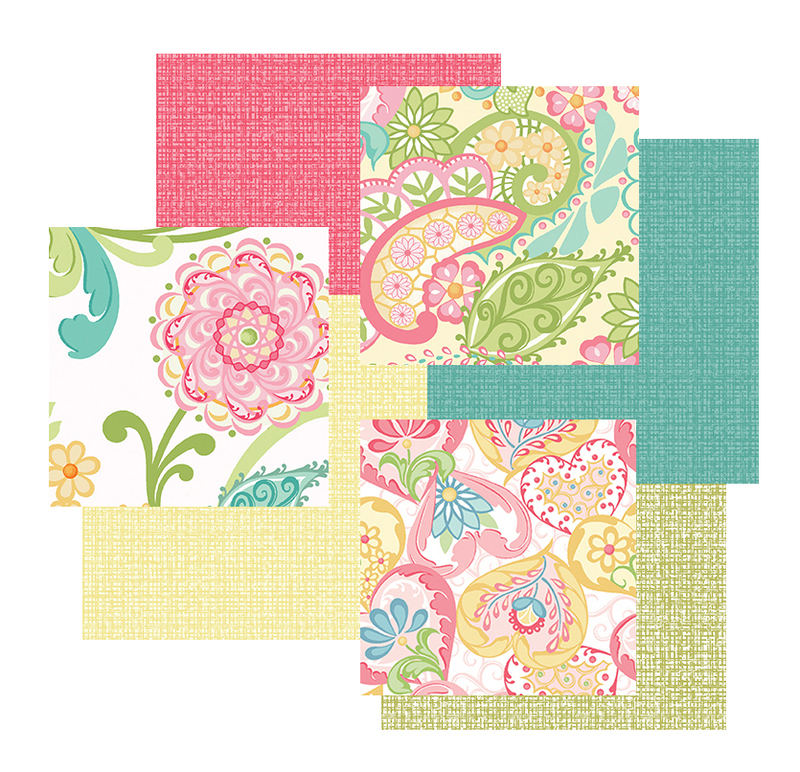 These softer, muted colors can balance each other and or mix with brighter Bali prints for added contrast. 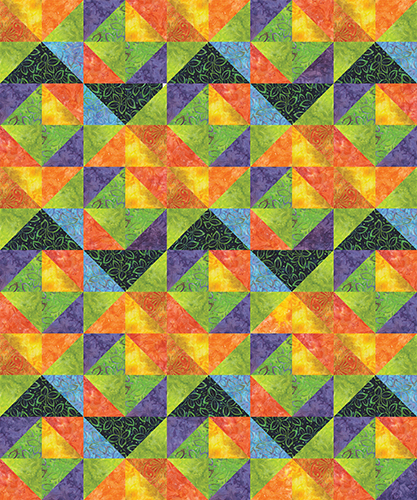 Click here to see the entire Tropical Breeze collection and find the free quilt pattern. If cool color palettes call your name, Triple Dye Rock Garden Balis are for you! 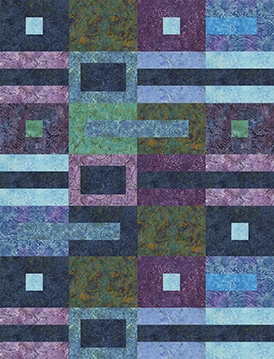 Blues in every shade accented with purples, greens, and rust, these soothing colors are rich with patterned texture. 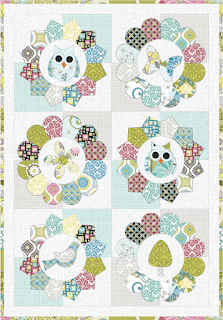 We have two free quilt patterns to share using Rock Garden--pick your favorite or try them both! 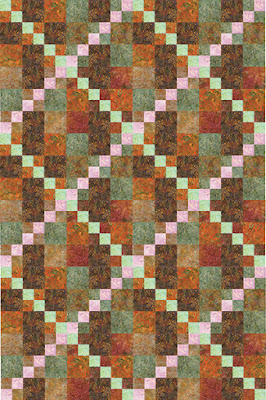 Click here to see the entire Rock Garden collection and find the free patterns. the colorful Sun-tastic Balis collection! 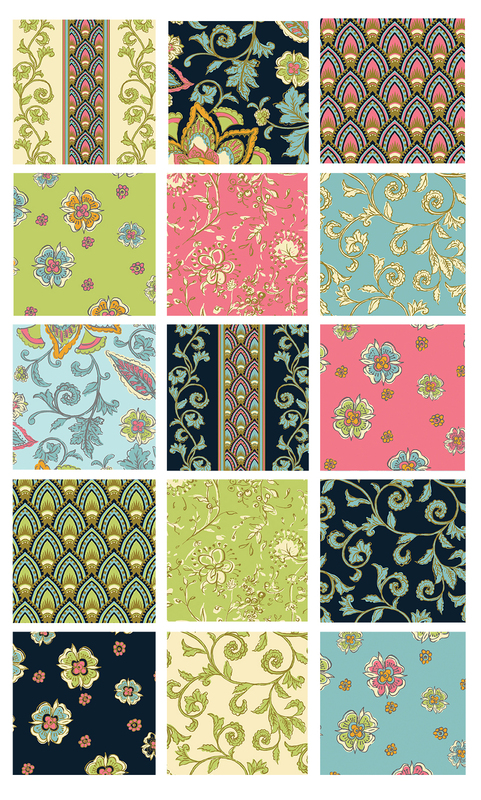 A rainbow of bright hues in fun patterns! This free pattern is super easy--it's made with all half-square triangles! 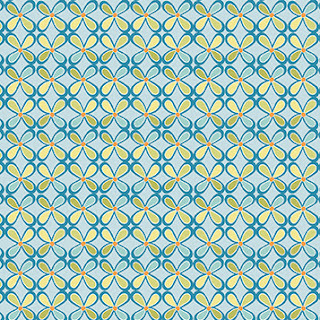 Click here to see the entire Sun-tastic Balis collection and find the free pattern. Fernwood, a gorgeous new collection by Jennifer Young, almost looks hand-dyed (it's not). 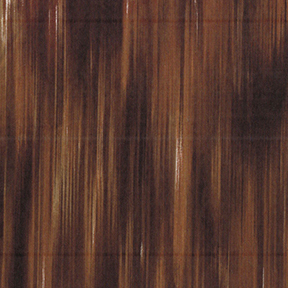 But the prints have the layered depth and textured appearance you'd expect from hand-dyed fabrics. Ferns (of course! 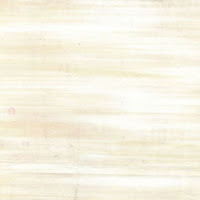 ), butterflies, a painterly stripe, and subtle tonals come together in a collection that you won't be able to resist! 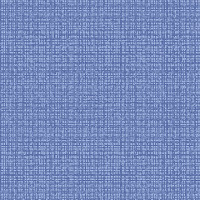 Fernwood comes in two colorways: earthtones and a blue/brown combination, but many of the tonals will blend beautifully in either direction. 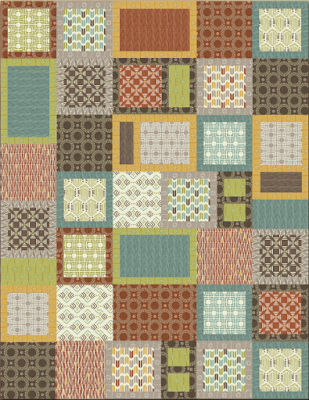 Our website has free pattern downloads for project in both colorways. 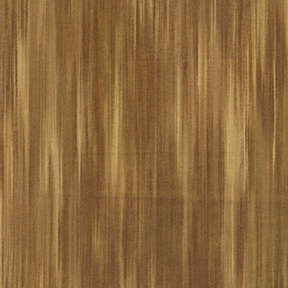 Click here to see the entire Fernwood collection. Hang on to summer a little longer with these gorgeous sunflower prints from Maria Kalinowski's new line for Kanvas, Forever Sunflowers. Gold metallic accents add a little extra sparkle to all the flowers. 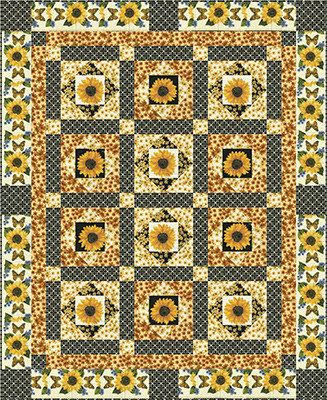 Huge blooms are perfect for fussy cutting or focal squares, and the sunflower stripe would make a fantastic quilt border. If this palette looks familiar, you're right! 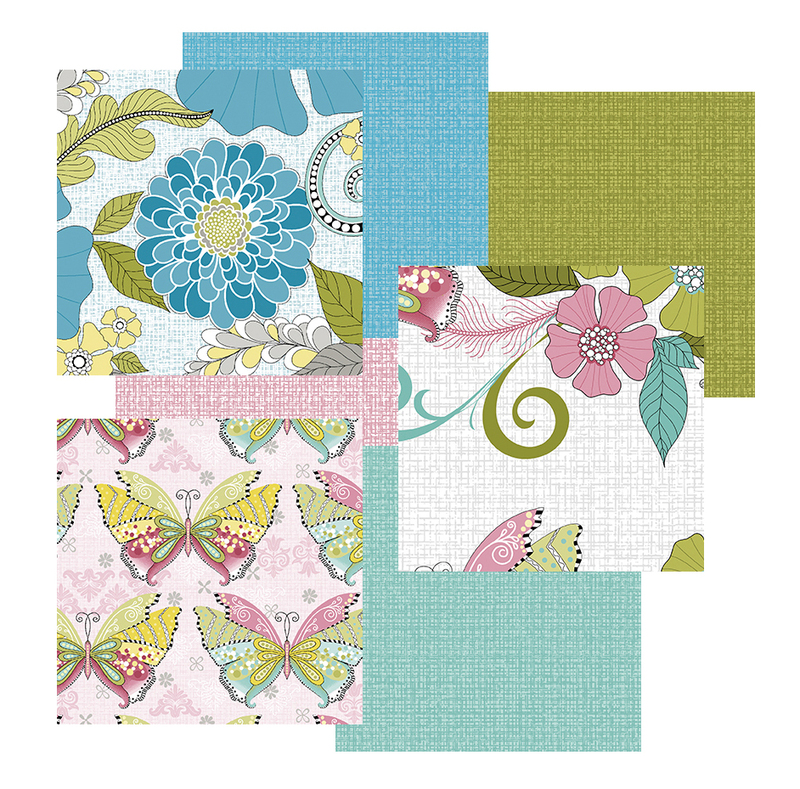 You can use the Forever Sunflowers fabrics with the Forever Butterflies collection we showed here. 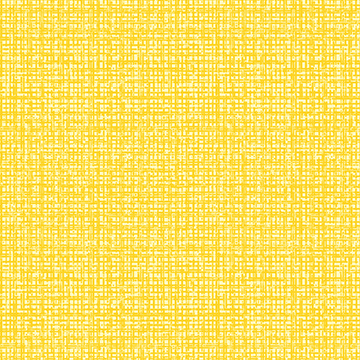 Click here to see the entire Forever Sunflowers collection. These realistic-looking beauties catch your eye, no matter what color background you like. And the metallic gold touches add just the right amount of glittering detail to create a truly special collection. 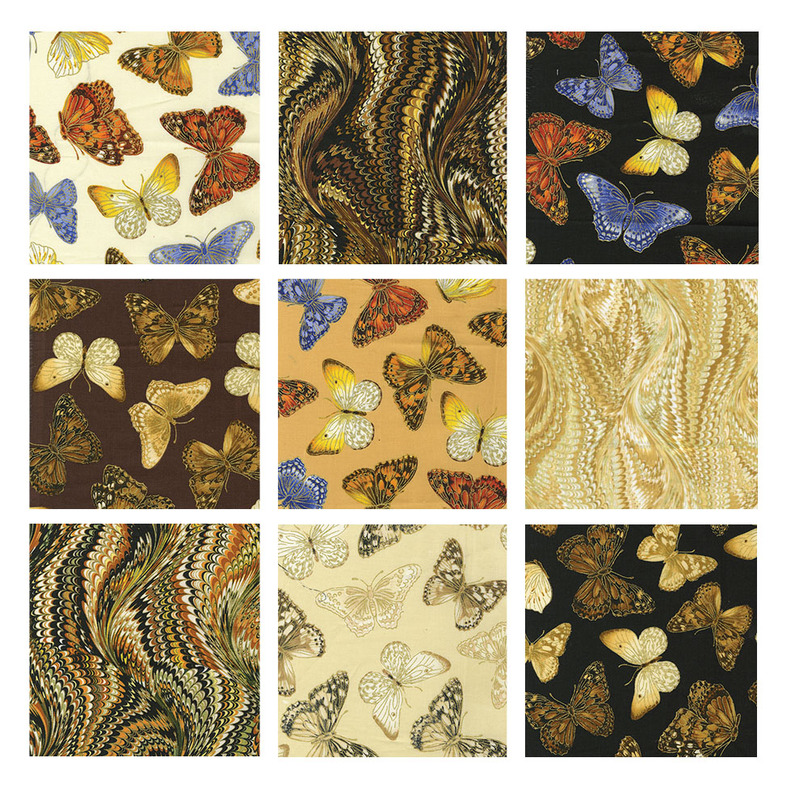 Don't forget the bookbinder prints--their marble-like appearance add texture and depth next to the butterfly prints. 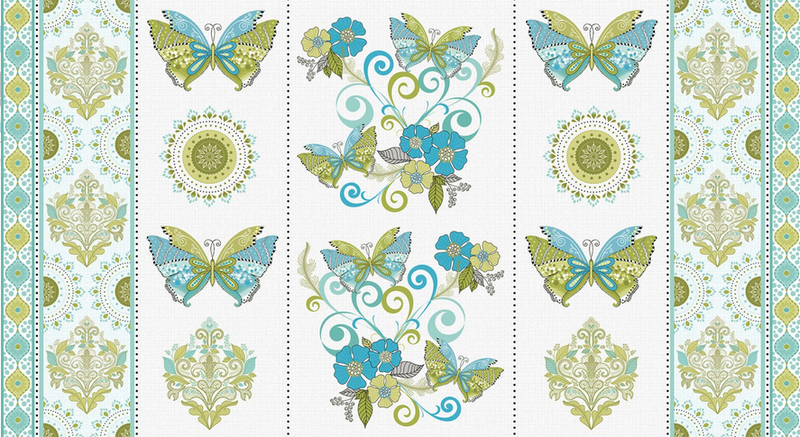 Click here to see the entire Forever Butterflies collection. Click here to see the entire Fleurish collection. 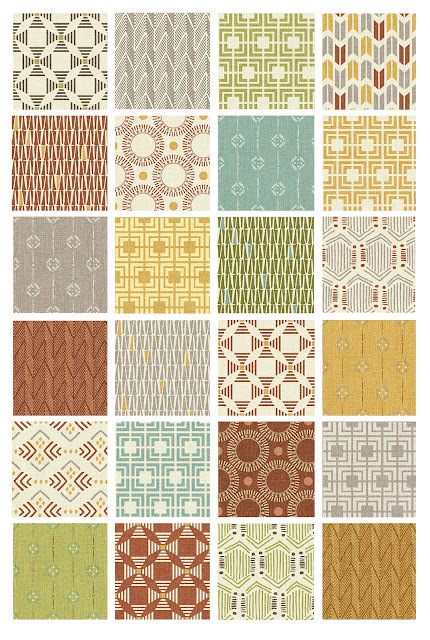 A modern, neutral palette meets vintage Parisian designs in the new Rue 36 collection by Bristol Bay Studio. 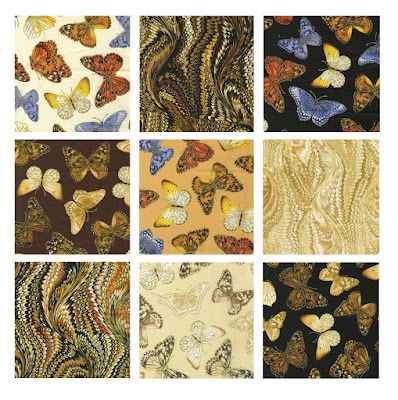 Decoupage designs of furniture, clocks, and butterflies layered on scripty text. Old-fashioned lace and scrolls. Vintage with a French twist! How to use these prints? Try "Victorian Chic," a free quilt pattern by Heidi Pridemore. Click here to see the entire Rue 36 collection. The coordinates for this collection are bright and fun, too, all taking inspiration from Russian folk art and embroidery--from cheery florals to a "stitched" stripe and an all-over nesting doll print, you'll want to use them all! 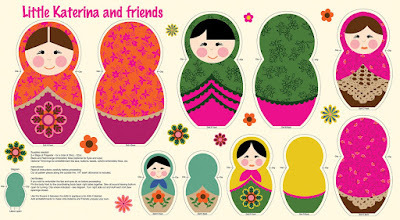 Click here to see the entire Little Katerina collection. Melbourne by Andrea Komninos...a collection with modern appeal! An earthy color palette of clay, pistachio, and gray works so well with the clean, graphic lines of these designs. 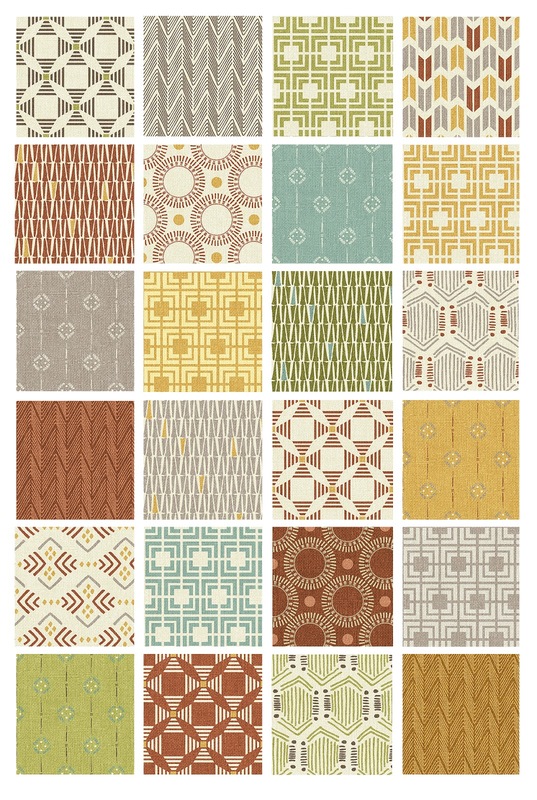 Sew a throw to rest on the arm of the couch, or make a manly-looking quilt with these cool, urban prints. 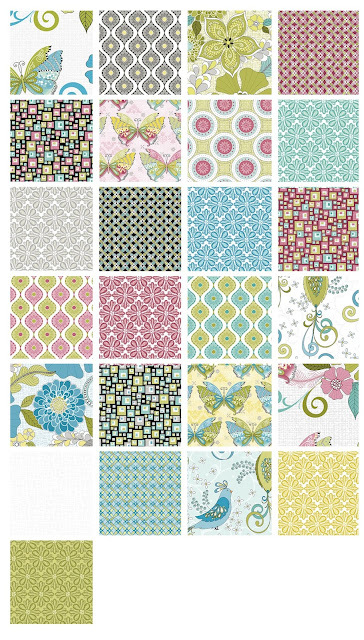 Try these prints out in the boxy "Modern Victoria" quilt, available for free on our website. 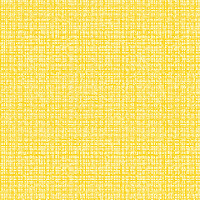 Click here to see the entire Melbourne collection. 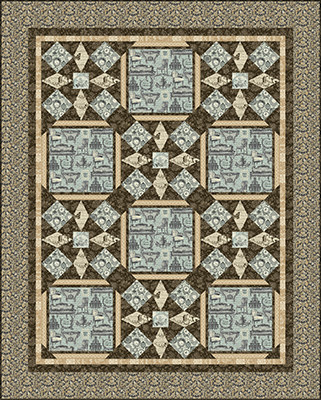 Click here to download the free "Modern Victoria" quilt pattern. A brilliant combination of sleek modernity with classic elegance. Detailed Jacobean florals, elegant scrolls, and medallions, but in fresh and surprising colors! 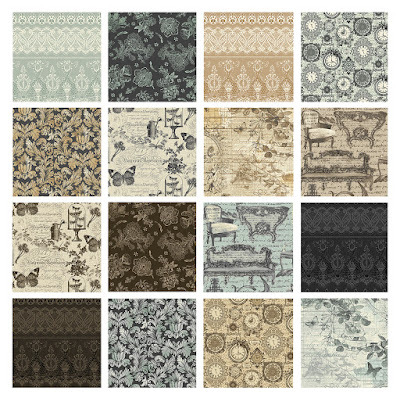 Give a traditional pattern a twist with this exciting new collection from Kanvas. Click here to see the entire Veronica collection. 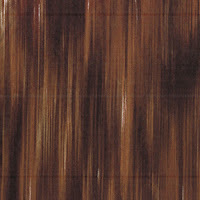 Introducing your new favorite basic: Color Weave! This fun new blender from Contempo Studios comes in a variety of colors (great combinations of dark, medium, and light values!) 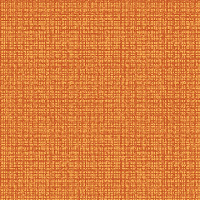 and features a woven-texture look that adds a little zing to your projects. 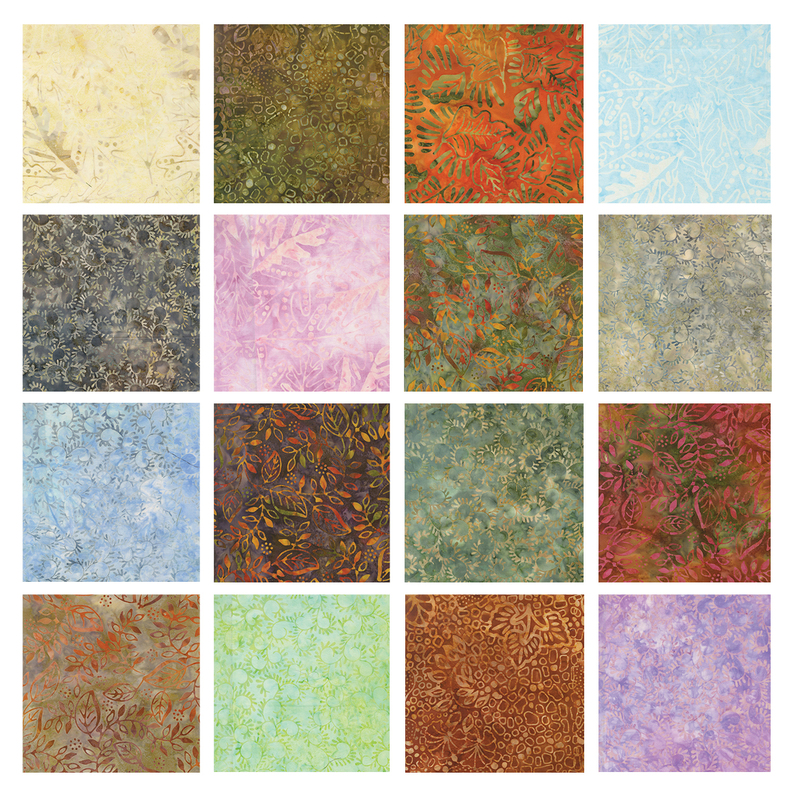 ...and Cherry Guidry's Soul Blossom fabrics! Designer Cherry Guidry says she developed her new Soul Blossom collection in the winter, and when you see the fresh, soft palette, along with the florals, birds, and butterflies, you know she was yearning for spring! Scroll down to learn more from Cherry about her new line. How did Soul Blossom come to be? 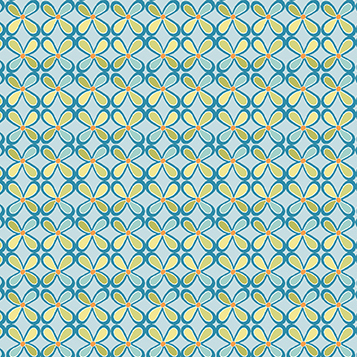 I was designing in the middle of winter and I wanted flowers! The flowers came together with some doodling I’d been doing. And of course I was into just doodling. Along with that, we had just gotten chickens for the first time ever. The birds in the fabrics have the comb like chickens have, and that particular print is called Chick a Doodle. 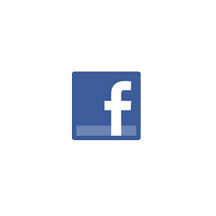 Can you tell us about a few favorites from the collection? The Soul Blossom print, the large floral with the mum-looking flower and the feather, was the starting point for the collection. 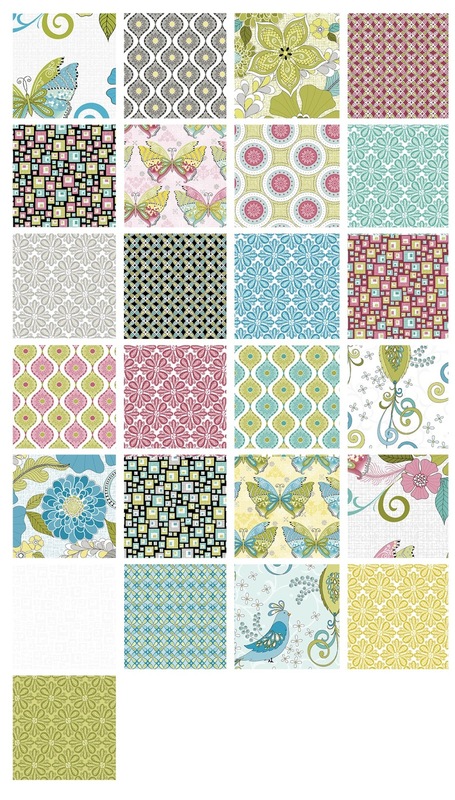 From the blenders, my favorite is the Soul Squares print. 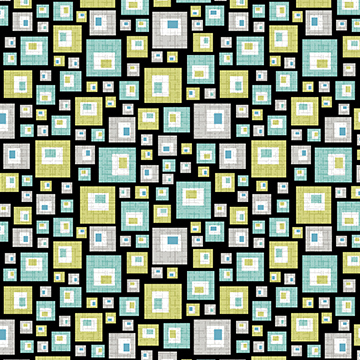 I love squares, geometrics. Next would be the doodle flower. The color palette is so fresh and clean. How did you choose what hues to use? My first love is aqua. 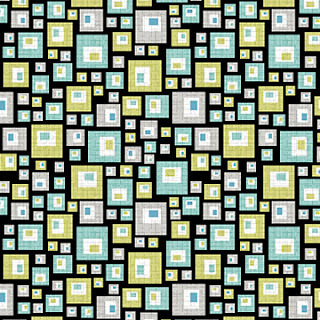 Aqua and green were the starting point—I cannot get away from those colors! I threw some grays in there because I love gray too—my whole house is gray these days. Adding pinks and yellows rounded it out. 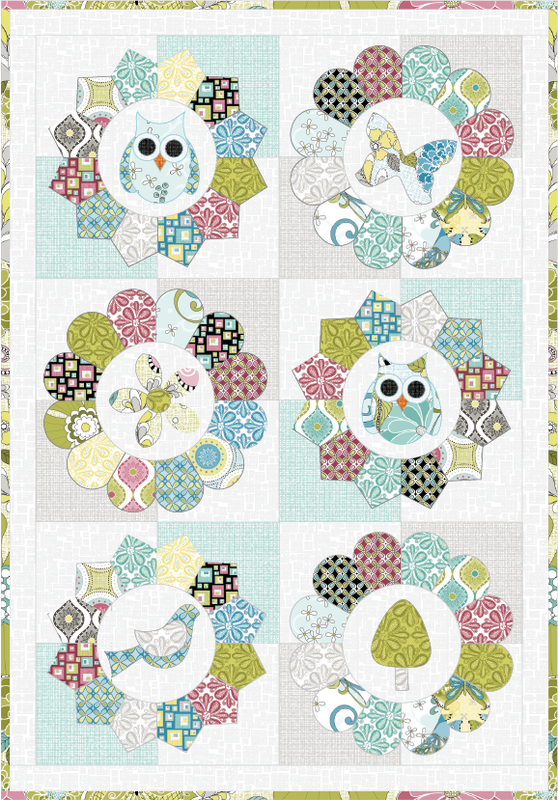 Here are a few patterns Cherry has designed using Soul Blossom. You can find them on her website. 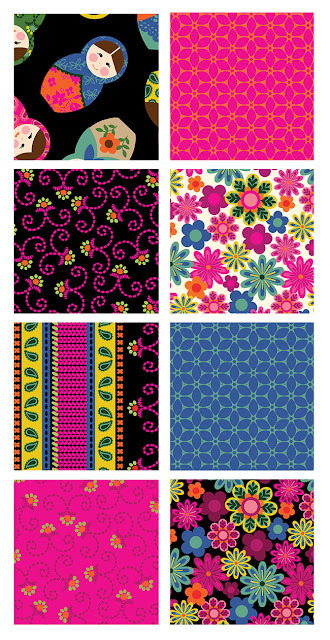 Mini Blossoms Miniature; comes with 7 different layout options! Click here to see the entire Soul Blossom collection. 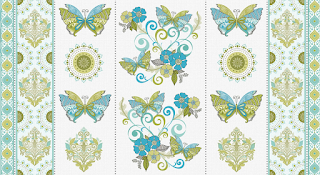 Click here to find Cherry's patterns.